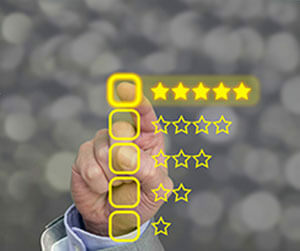 For CrossLink Professional Tax Software reviews and reliable feature-ranked ratings of other software and bank products visit us at ProfessionalTaxSoftwareReviews.com. CrossLink Professional Tax Software has been used by tax preparers since 1989. Headquartered in Tracy, CA, CrossLink has proven its dedication in enabling professional tax preparers’ success year after year. CrossLink’s ongoing commitment to delivering innovative and practical solutions is what keeps it in first place on our list. CrossLink Professional Tax Software has become a leader in equipping tax pros with original features such as the ERO Mobile App & Tax Payer Mobile App. The apps have a very familiar feel to them in addition to being convenient and simple to use. These user-friendly applications certainly simplify client-to-preparer communications while speeding up information/document collection as well. Further delivering on logistics speed and simplicity, CrossLink Professional Tax Software comes with Signature Pad and Handheld Scanner integrations. Both the Signature Pad and Handheld Scanner integration remove the hassle of copying, printing, and maintaining physical files, forms, or other documents that do not require prints. Both of these features save tax preparers time during the client interview process while also speeding up the processing of tax returns. With digital signature capability and speedier information retrieval, CrossLink has delivered faster and much more convenient paperless solutions. Another great feature CrossLink provides is its Multi Office Management platform. With multi-tier licenses, known as feeders, growing offices can more easily expand their business to other locations. By branching out from the main software license, all the multi-tier licenses at other locations feedback to the main license. This infrastructure allows for simplifying the management of multiple locations. This multi-office capability also comes with customizable authority features for preparing and submitting as well. All in all, CrossLink Professional Tax Software leads the industry in terms of progressive, time-saving features. Its ability to provide above par solutions year in and year out have granted them first place on our list of the best professional tax software. For more on CrossLink Professional Tax Software reviews and more valuable information please visit us: ProfessionalTaxSoftwareReviews.com. ProfessionalTaxSoftwareReviews.com aims for tax professionals to have access to the most current and reliable professional tax software reviews. 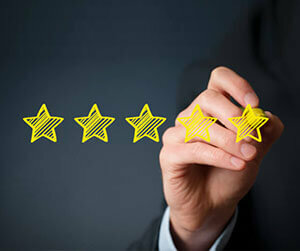 Our website provides complete feature-ranked ratings of the best professional tax software on the market. With full reviews on each software, you can be confident in your choice of tax software for the coming season. Our website also rates the best bank products for tax professionals as well. Learn more about bank products and see how your clients and tax office can benefit.